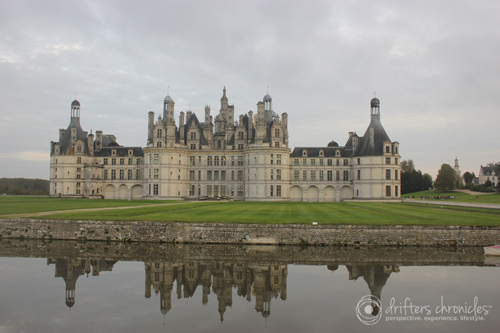 One of the highlights of our European trip last year had to be the Loire Valley Castle Tour. I found out about it from Jeff at Eurotravelogue.com. We did the tour through Paris City Visions and it was a day well worth it. Despite the glowing reviews most people give of Paris, I wasn’t that excited about the city. Not sure why that was but Paris is one of the most talked about and hyped cities in the world so there was lots of room for disappointment. 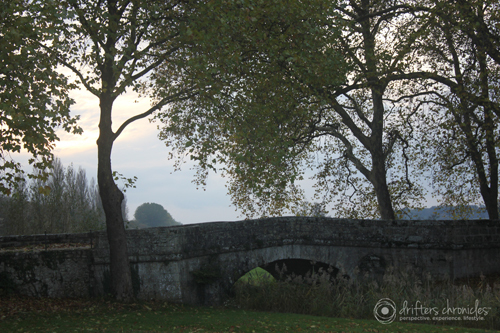 I felt totally different when we arrived in the French countryside though. 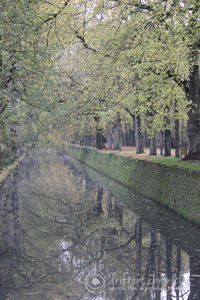 We left Paris via motor-coach early in the morning when it was still dark and arrived at the first destination of the day Château de Chenonceau around mid morning. This Castle was a spectacle to behold. I remember when I was younger seeing picture books of castles like this in school, so it was quite amazing to see in person. The history of this castle was interesting. It was built in the early 16th century and Henry II offered the chateau as a gift to his mistress. It was inhabited by many different people but that was the story that stuck in my head and was illustrated in the castle with pictures that are not to be missed. If there is something I will say about French architecture is that the gardens are always so well kept. 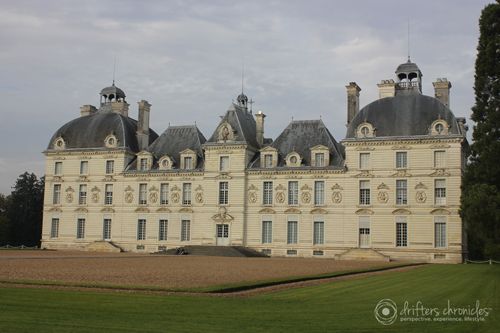 The second castle that we visited was the Castle of Cheverny. This castle is privately owned and from the 17th century. People still live in a portion of the building. 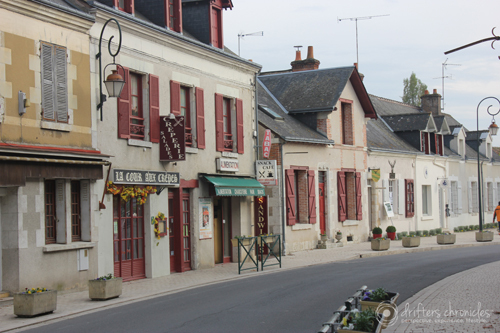 We stopped for lunch in the small town of Cheverny as well and were impressed with the lunch that we were provided. The wine just kept flowing. The final castle that we stopped at was Château de Chambord. This castle was grandiose and at first sight it is hard to miss the detail that the builders put into constructing it. I remember saying to Charlene while we were walking along a balcony that this castle reminds me of “Gondor” in the Lord of the Rings movie franchise. They don’t have any furniture inside though, so you will have to use your imagination. One of the Unique features I remember from this castle were the staircases. Inside they had a double helix open staircase, they were saying that Leonardo da Vinci may have designed this. Outside the staircases were well constructed as well, so much detail and effort must have been put into these. 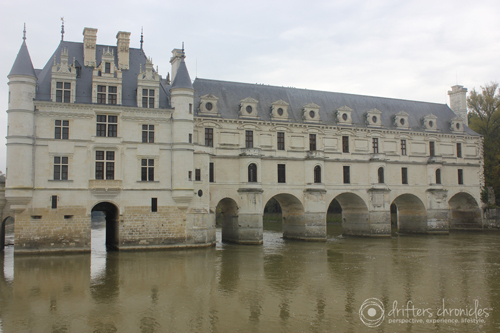 If you happen to be visiting Paris, I highly suggest taking a day and doing the Loire Valley Castle Tour. If you are into castles, architecture and history this will be a memorable tour! 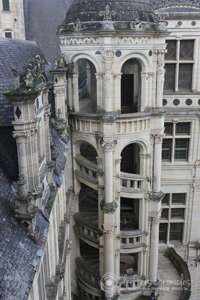 This entry was posted in Europe, Experience, France, His, Perspective and tagged Castles, Château de Chambord, Château de Chenonceau, France, Loire Valley, Travel. Bookmark the permalink.